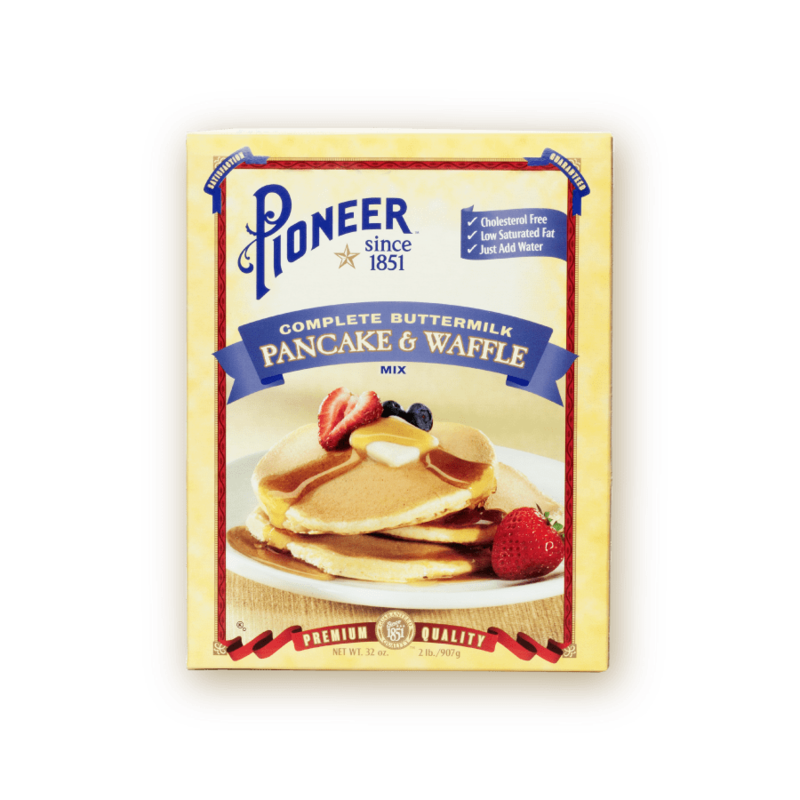 Pioneer Complete Buttermilk Pancake Mix is a cholesterol free, low saturated fat option for those who don’t want to sacrafice flavor for a healthier option. 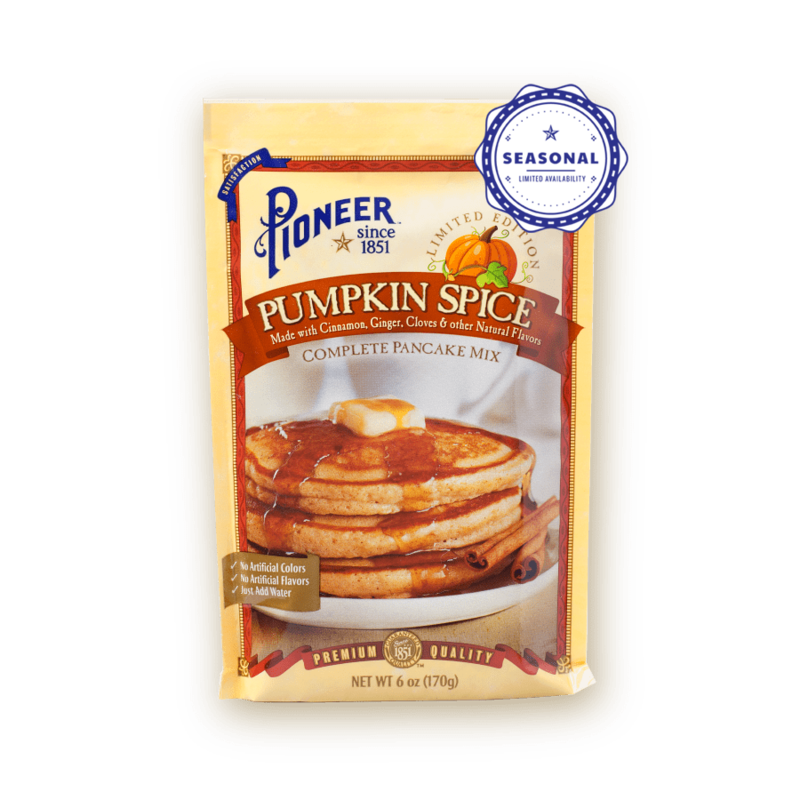 Our quality ingredients are responsibily sourced and, when mixed with water, create the irresitible fluffly pancake you crave. 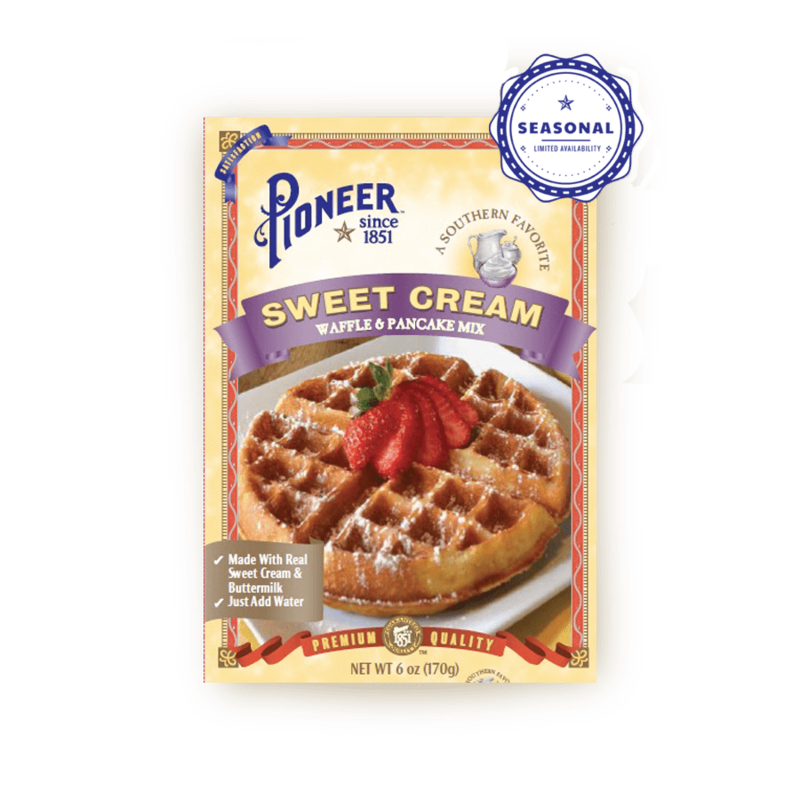 We’re proud to offer this no fuss, easy-to-create and easy-to-enjoy option for consumers, whip up a batch of Complete Buttermilk Pancakes today. PREHEAT lightly oiled pan or griddle to 375 ºF. NOTE: For thicker pancakes, use a little less water; for thinner pancakes, use a little more water. BLEND. Batter will be slightly lumpy. BUTTERMILK, BAKING SODA, CORN SYRUP SOLIDS, SODIUM CASEINATE, MONOCALCIUM PHOSPHATE, SODIUM ALUMINUM PHOSPHATE, MONO & DIGLYCERIDES.